I originally began using oils because I wanted to rid my life of products that were filled with toxins. I started reading labels and researching what was in my everyday products, and it was pretty terrifying! So I began making some DIY beauty products and as I was making these I of course used essential oils in them… and these essential oils were from the grocery store. While all of this was going on, I had a friend posting about Young Living on facebook and all about the amazing results she was having by using them. Well, my oils smelled good but I sure didn’t see anything magical about them like she did. 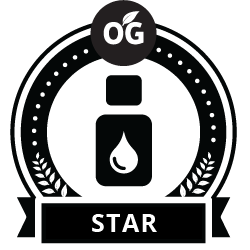 Some time passed and I realized maybe, just maybe, it was the brand of oils I was using… so in July of 2016, Jacob, my husband, bought me a premium starter kit. All I have to say is WOW!!! That kit has literally changed my life. Young Living was the key to all of these great benefits because their oils are pure and unadulterated. All of their products and my team has helped me slowly move into a less toxic lifestyle and I have never felt better! I can use these oils to help support every single body system and not have to worry and stress about if that product is going to give me cancer or some other horrible side effect. Especially now that I have started a family, I use my essential oils on my daughter and don’t have to worry and feel guilty about introducing her little body to horrible toxins! Young Living Oils has truly been a game changer and I am so thankful I took a chance and got the premium starter kit. I just wish I would have done it sooner!!! My Desert Island List of Products! Katie is a North Vernon essential oils distributor. Use the contact form to get in touch with Katie. Want to learn more? Contact Katie Petry — A North Vernon Young Living essential oils distributor.